Coca-Cola has suspended its #MakeItHappy automated social campaign after a prank from Gawker had the brand inadvertently tweeting out several lines from Adolf Hitler's Mein Kampf. The soda brand's campaign, introduced during Sunday's Super Bowl, encouraged Twitter users to mark negative tweets with the #MakeItHappy hashtag. 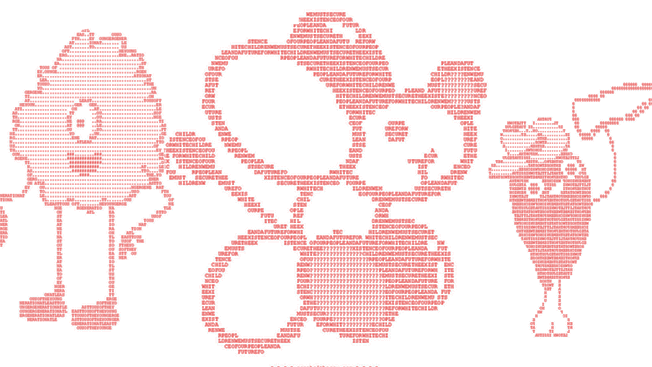 Then, the brand turned those words into cute art images using ASCII lettering code. But Gawker soon noticed a tweet from Coke's Twitter account that had turned the "Fourteen Words" slogan of white nationalism into an ASCII dog. "Even when the text is shaped like a dog, it is disconcerting to see Coca-Cola, the soda company, urge its social media followers to safeguard the existence and reproduction of white racists," wrote Gawker editor Max Read. To prove the point, Gawker created a Twitter bot, @MeinCoke, which tweeted lines of Mein Kampf at Coca-Cola to see if the brand would turn lines from Hitler's autobiographical manifesto into art. It did. This afternoon, the brand stopped the art-based social campaign altogether, no longer responding to tweets that used the #MakeItHappy hashtag. A spokeswoman emailed this statement to Adweek: "The #MakeItHappy message is simple: The Internet is what we make it, and we hoped to inspire people to make it a more positive place. It's unfortunate that Gawker is trying to turn this campaign into something that it isn't. 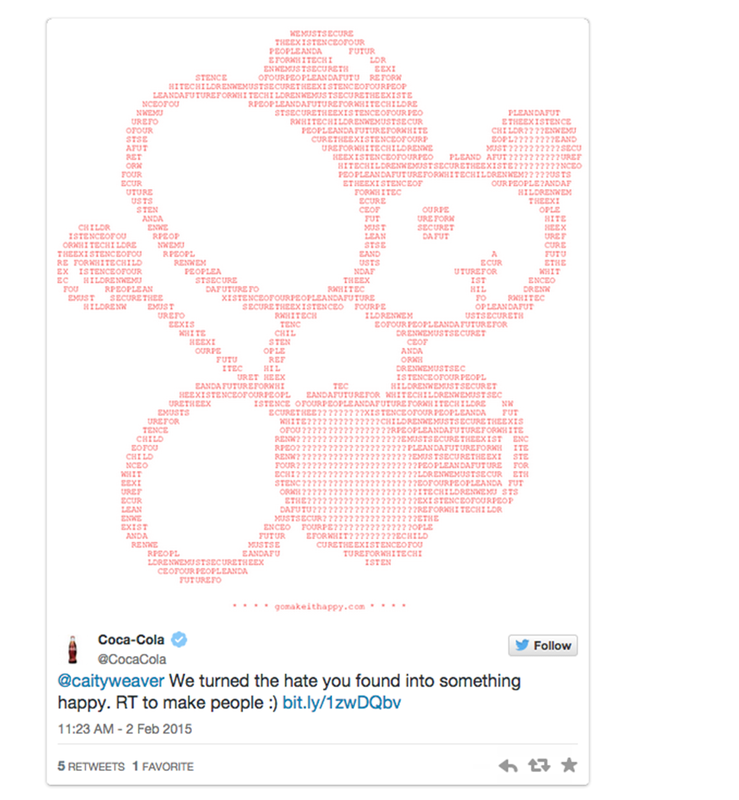 Building a bot that attempts to spread hate through #MakeItHappy is a perfect example of the pervasive online negativity Coca-Cola wanted to address with this campaign." The debacle illustrates that major brands like Coke can't make campaigns featuring automatic tweets without the expectation that it will likely get highjacked, a fact the New England Patriots learned with a recent jersey giveaway.